This evening dinner symposium will discuss research on mechanisms of action of metabolic surgery and their RCTs, which explain where such operations fit in the overall treatment algorithm for type 2 diabetes & obesity. It will also cover how new data from those RCTs has led to policy changes pertaining to surgery that are evolving based on recommendations from the Diabetes Surgery Summit 2 (DSS-2) consensus conference. 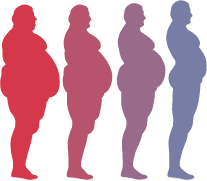 This activity is designed to meet the educational needs of Primary Care Physicians, Endocrinologists, Physician Assistants and APRNs who regularly treat and manage overweight and obese patients. This activity is designed to address the following core and team competencies: Patient Care and Medical Knowledge. Discuss the weight-independent mechanisms mediating remission of type 2 diabetes after selected types of bariatric/metabolic surgery. Describe recent Level 1 evidence from randomized clinical trials directly comparing surgical vs. non-surgical approaches to diabetes care, including among patients with a baseline BMI <35 kg/m2. 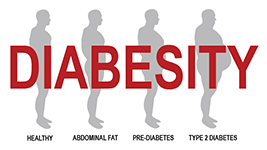 Identify new policy changes from the 2nd Diabetes Surgery Summit and the American Diabetes Association advocating consideration of metabolic surgery to treat patients with inadequately controlled type 2 diabetes and a BMI as low as 30 kg/m2, or 27.5 kg/m2 for Asians. In support of improving patient care, Ciné-Med is jointly accredited by the Accreditation Council for Continuing Medical Education (ACCME), the Accreditation Council for Pharmacy Education (ACPE), and the American Nurses Credentialing Center (ANCC), to provide continuing education for the healthcare team. Ciné-Med designates this live activity for a maximum of 2 AMA PRA Category 1 Credit(s)™. Physicians should claim only the credit commensurate with the extent of their participation in the activity. This activity is supported by an educational grant from Medtronic. Download ADA's publication outlining their Standards of Care for Diabetes and the newly extensive section on Obesity (bariatric/metabolic surgery) derived directly from Diabesity Surgery Summit 2 (DSS-2).